I got to see what system they use in some machines. It's not news, it's documented, but always fun. 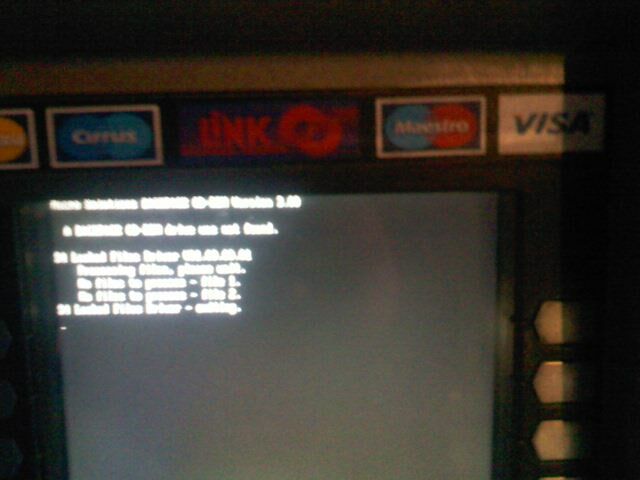 The machine got my card, and crashed! It rebooted, I thought it might give the card back, but it didn't . Although this was quite annoying, it gave me a smile to see what booted-up. I even saw the "cdrom" drivers loading! Wendy (here) and Bearwindows (there) would be quite happy! 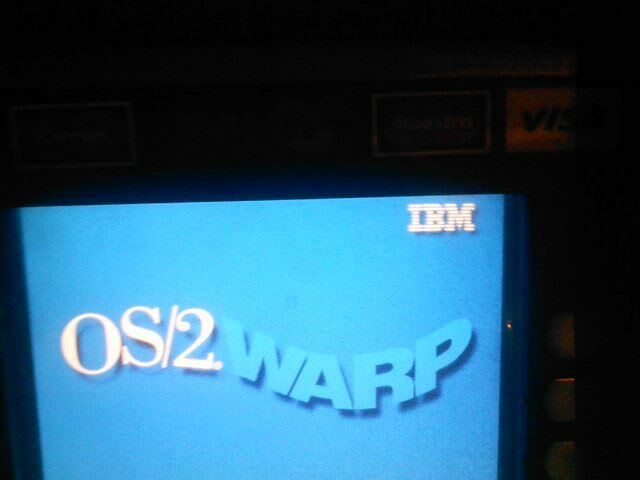 I guess there not many Os2Warp Hackers.